We are absolutely thrilled to announce that Crimson will be participating in this year's Product Runway! The International Interior Design Association (IIDA) hosts Product Runway, a spin off of the reality t.v. series Project Runway, at its chapters all over the country. 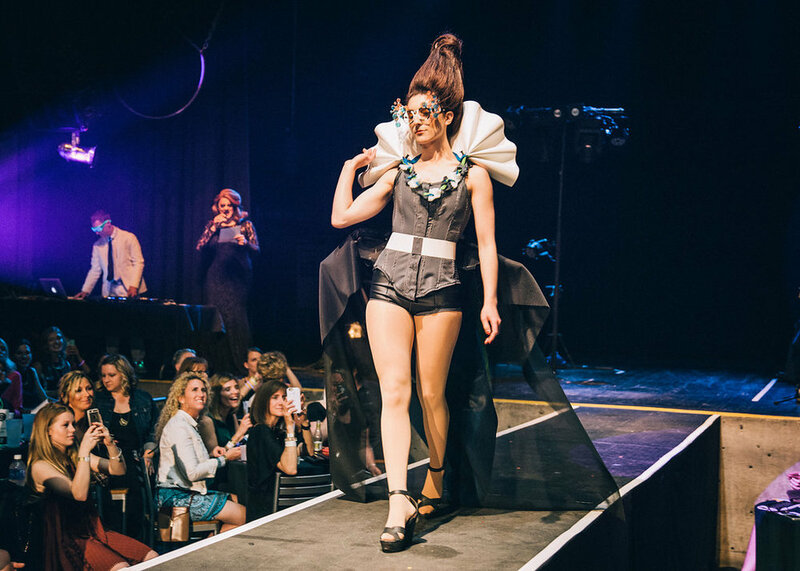 This event challenges interior designers to create couture garments from the same products they use in their projects every day. 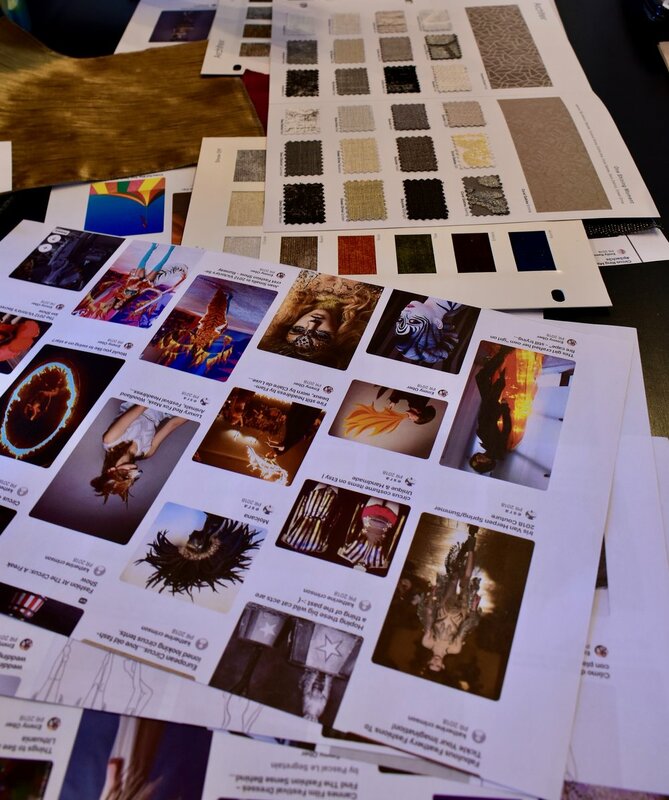 Design firms are paired with one vendor who supplies the materials used to make their garment. 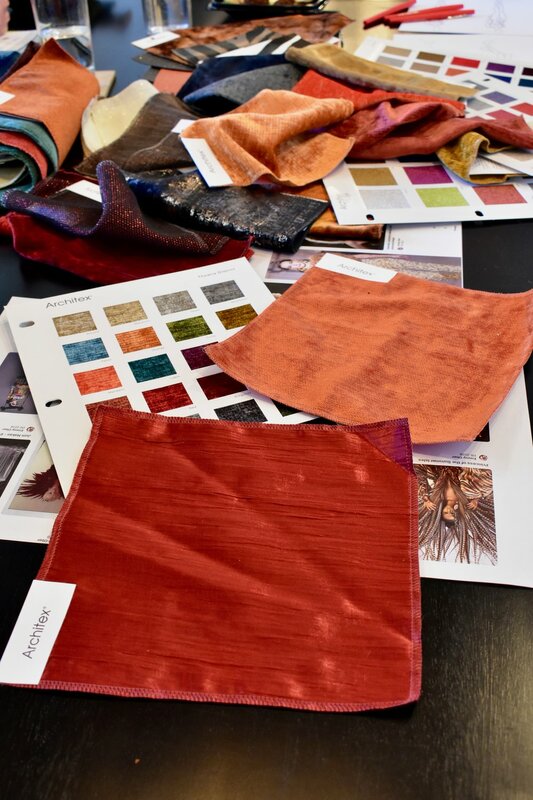 This year, we've been paired with Architex, one of our favorite commercial textile vendors. Though we've been paired with a fabric company, carpet, acrylic, vinyl flooring, signage, tile, and laminate are all used by designers to create looks for the event. Teams can only use products from their vendor's company and a minimum of 80% of the finished garment must be made up of the vendor's material. In other words, only 20% of the final look can be made up of alternate materials such as thread, garment glue, embellishments, or accessories! Everything else has to be sourced from the vendor directly! With the help of a seamstress, we'll create a one of a kind piece that, we hope, will win one of the following awards: Designer of the World, Design Innovation (Creativity), The Wild Side (Theme Relationship), People's Choice. We'll present our completed look to the judges, as well as on a runway for the audience! Our model will be one of our team members. In fact, all of the participating design firms can only use a team member as their model! This year's event will help raise money for Dress for Success, a nonprofit organization dedicated to collecting and distributing clothes to women who need them to succeed in the professional world. Dress for Success empowers women to achieve economic independence by providing a network of support, professional attire, and the development tools to help women thrive in work and in life. If you'd like to support the IIDA's efforts to raise money for Dress for Success, come support us at Product Runway on May 24th at Express Live, 405 Neil Ave, Columbus, OH 43215! Tickets will be available via Eventbrite soon!